Among the shipwrecks of Palau is the Wakatake, a 287 foot long Japanese destroyer. Her final resting place is west of Babeldaob near the West Passage. The Wakatake was attacked by aircraft from the carriers Lexington, Belleau Wood and Langley as part of Task Force 58, on March 30, 1944. 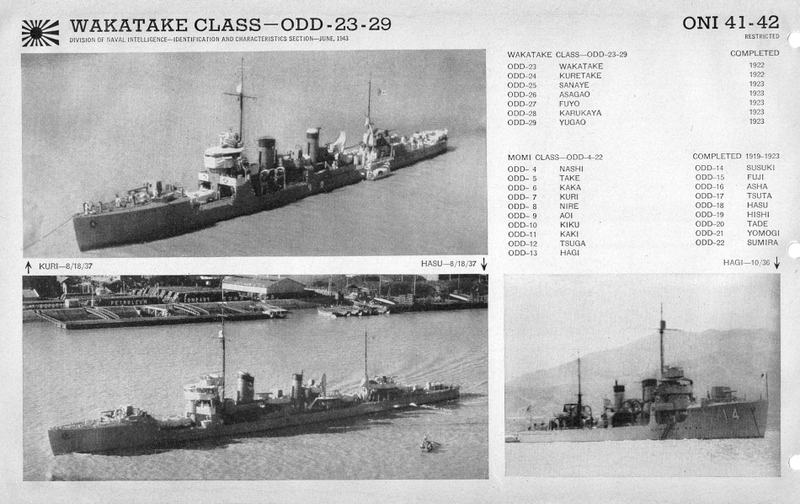 Completed in 1922, the Wakatake class destroyers, were like the larger contemporary Minekaze design, transitional types — differing from Japan’s British-style destroyers of WWI, but not as refined as the later Fubuki and Kagero classes. 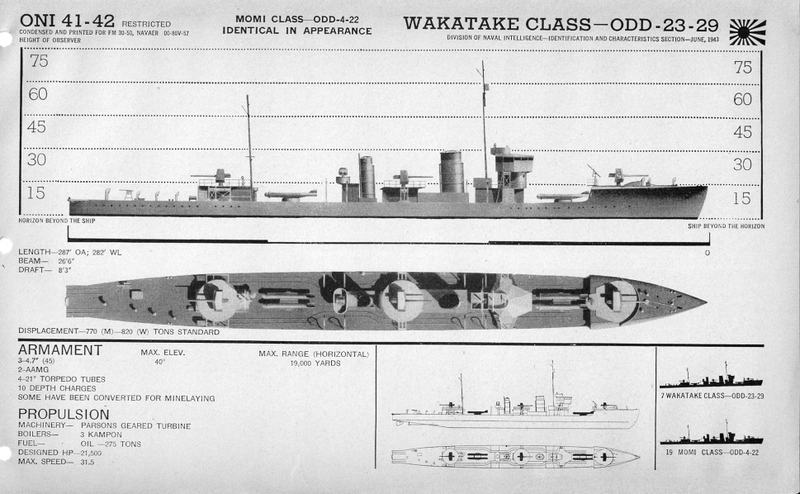 Called “Second Class” destroyers, the Wakatakes were 287 feet long, displacing 770 tons, drawing just over 8 feet. Powered by three oil-burning turbine engines generating 21,500 horsepower, the speedy Wakatakes could do 31.5 knots. Small, thin-skinned, ships, they were “all punch,” with four torpedo tubes, ten depth charges, and three 4.7 inch guns, mounted on the centerline for shooting on either side. With a flaring bow cut away sharply just forward of the torpedo tubes, an otherwise long flush deck, and two stacks, the Wakatake made a minimalist, functional appearance. They were the last of the small “Second Class” destroyers. They were outdated when World War II started and only performed second line duties during the conflict.